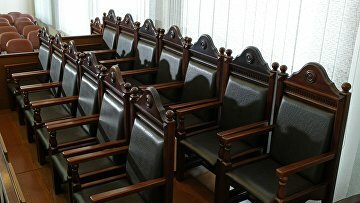 Russian parliament adopts the right of non-jury trial | Russian Legal Information Agency (RAPSI). Moscow, April 21 – RAPSI. On Wednesday, the lower house of the Russian parliament (State Duma) adopted in the first reading amendments to the Criminal Code of Russia allowing defendants to opt for a trial without a jury. The amendments to Article 236 and Article 325 of the Criminal Code of Russia were developed by the Russian Ministry of Justice. Article 325(2) of the current legislation says that in a criminal case involving several defendants, all of the defendants are to be tried by jury if at least one of the defendants requests a jury trial. According to the new law, after a preliminary hearing a judge has a right to make a decision for or against a separate trial for a defendant who refuses to be tried by jury. The law was developed upon a decree of the Russian Constitutional Court. 14:08 21/04/2011 On Wednesday, the lower house of the Russian parliament (State Duma) adopted in the first reading amendments to the Criminal Code of Russia allowing defendants to opt for a trial without a jury.